The 5-star Sofitel Imperial Resort & Spa welcomes you, on the west coast of Mauritius famous for its sunsets, white sandy beaches and turquoise waters, in an Asian decor blended with Mauritian hospitality and French refinement. The luxury resort is a renowned wedding and honeymoon planner and organises family and golf packages in 191 luxury rooms or suites that open on a balcony or terrace with garden or ocean view. French culinary expertise is the secret behind the five restaurants: fresh local ingredients and seafood transformed by Asian chefs in spectacular show cooking; international gastronomy buffets and barbecues; fresh grilled fish on the beach or lobster by candlelight and starlight. The three bars offer signature cocktails, tropical sundowners with live music and dancing on the sand or cheese and meat delicacies service the finest vintage wines and champagnes. So SPA, cocooned in a delicate Asian sanctuary, opens a dream world of luxury treatments and ayurvedic massages, hot stones, aromatherapy and ultimate relaxation in the Jacuzzi, hammam or musical pool. The lagoon and the coral reef provide for water-skiing, snorkelling, diving and dolphin watch while Kid's villa has a paddling pool and special activities for children. The rooms are on 1st or 2nd floor, with ocean view and balcony. The suites open up on a balcony and offer an ocean view. The suites, situated on the 1st or 2nd floors, open up on a balcony or terrace, and offer a garden view. French culinary expertise is the secret behind the five restaurants. 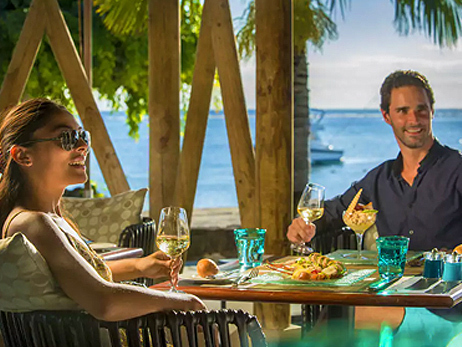 Mauritius provides fresh, tropical ingredients, Asian chefs perform show cooking, and the world's cuisines inspire heaped buffets and à la carte menus. The scent of freshly grilled fish and meat emanates each lunch-time from Tamassa, a relaxed restaurant on the beach. Taste Mauritian specialties like palm heart salad and smoked fish: a delicious break in a deliciously relaxing day. Dine on fresh lobster, under the stars, right on the sand, with candles twinkling romantically. 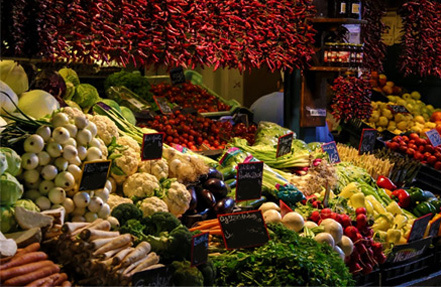 Delicate dishes feature the finest local ingredients and the creative culinary skills of the French chef. Overlooking the big, inviting swimming pool in the heart of the hotel, feast on dishes prepared with Mauritian ingredients fresh from the market. Add excitement to your meal by booking a Teppanyaki show cooking table. 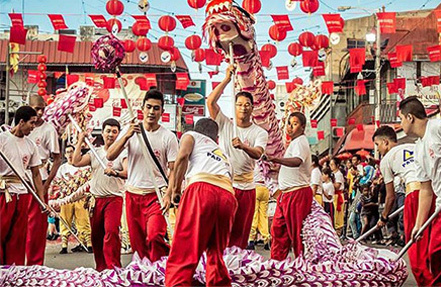 High-speed chopping, eggs flying, knives slicing spectacularly through the air, experience the entertainment and scrumptiousness of authentic Teppanyaki show cooking. The Asian chefs love to show off their culinary skills. Splashes of pink in the trendy décor inspired the name of this poolside lounge and bar. Signature cocktails, a tinkling piano, the buzz of excited holiday conversation... Set between the vast pool and turquoise Indian Ocean, this bar sparkles. No need to stray far from the pool or the sea for your cocktail, this relaxed bar is a nightly hotspot for live music, an impressive array of cool drinks and dancing on the sand. Pair wine flights with French cheeses or nibbles from the deli; the hotel’s expert sommelier can advise on the world's finest vintage wines and champagnes. On the Island of Mauritius where people around the world dream to be, weddings are much more than mere ceremonies. Sofitel Mauritius L’Imperial Resort & Spa invite couples to knit the perfect romantic everlasting memories with beads of fantasy and elegance. Here, where the sun sets over the island’s soft white beaches and turquoise waters, wedding ceremonies at this 5* luxury hotel go on a wondrous magical note. 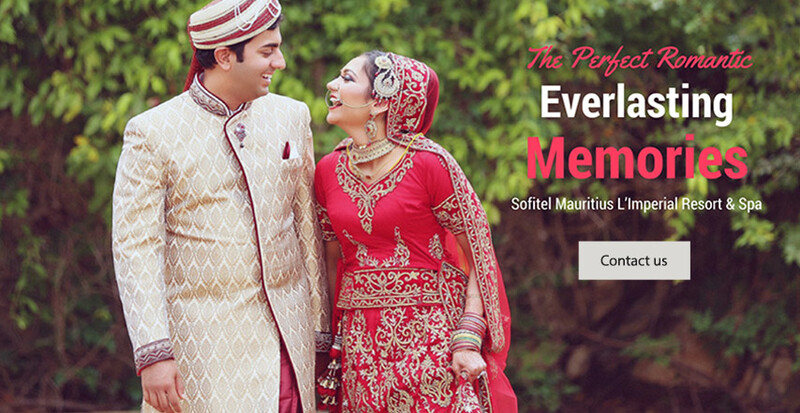 At Sofitel Mauritius L’Imperial Resort & Spa on the west coast of Mauritius, the wedding specialists have crafted the Imperial Wedding Package that promises to offer you the perfect celebration ever, without the least worry. Conscious that wedding planning is not just time-consuming and that keeping track of the cost of every detail down to the number of flowers in your bouquet can be downright mind-boggling, the wedding experts are here to care for your least wishes. Through the Imperial Wedding Package, Sofitel Mauritius L’Imperial Resort & Spa presents you a canvas which you may personalize according to your tastes, needs and desires. To render your wedding ceremony the most private and yet outstanding possible, Sofitel Mauritius L’Imperial Resort & Spa organizes only one wedding per day and a dedicated wedding planner remains at your disposal. Distinguished clients hence receive maximum attention from the team without the omission of any detail and are guaranteed to tie the knot in sheer elegance. The wedding ceremony itself will take place in one of the many wedding pavilions sitting on the beach front. Bridal couples may opt from the panoply of themes and matching décor. The in-house florist will amaze you with the array flower arrangements to set up the exclusive venue. The bride will be graced with the freshest and prettiest wedding bouquet adorned with pearls or crystal stones while having the choice to opt for the services of a professional hairdresser and makeup artist to make her look stunning for this special day. The groom, on his side, will be chic with the perfect button hole. The ceremony will be enhanced with the Sabrage of a bottle of wine - an art developed by young cavalry officers in the French army two hundred years ago. This unique demonstration will pair with an exceptionally sophisticated cake that will be baked and decorated meticulously according to your wishes. To make the ceremony even more grandiose, bridal couples may request fireworks and live entertainment. Those wishing to heighten the purity of the moment may wish to set free two white pigeons. We equally recommend you to have your special day captured professionally on DVD and as lasting prints for you to cherish for a lifetime. In the evening, the bridal couple will be pampered for a special 5 course menu for dinner prepared passionately by the Chef served in intimacy on the beach. The bridal room, on its side, will be romantically decorated to prolong the magic of the ceremony and in the morning, the newly-wed couple will be spoiled with a Royal Breakfast. To add more magic, relaxation and happiness to the wedding, you have the choice to indulge yourselves in the most relaxing massages at the So Spa. Administration charges and transportation fees and civil charges. Car with driver/guide to take clients from hotel to the Supreme Court in Port Louis and back. Transport fee and registration at the Civil Status Office, plus the services of the Civil Status Officer at the hotel for the wedding ceremony. The 5-star Sofitel Imperial Resort & Spa welcomes you, on the west coast of Mauritius famous for its sunsets, white sandy beaches and turquoise waters. The luxury resort is a renowned wedding and honeymoon planner and organises family and golf packages in 191 luxury rooms or suites that open on a balcony or terrace with garden or ocean view. The hotel is a unique blend of French art de vivre and local mores. Your senses will be awakened at the Sofitel Mauritius L'Imperial Resort & Spa with the aroma of spices, the Asian-style architecture and views of the tropical island. In this exclusive retreat, feel the harmony between natural materials, abundant greenery, modern decor and traditional Asian lodges. Between East and West, enjoy the warm Mauritian welcome with subtle hints of French chic. So SPA, cocooned in a delicate Asian sanctuary, opens a dream world of luxury treatments and ayurvedic massages, hot stones, aromatherapy and ultimate relaxation in the Jacuzzi, hammam or musical pool. The lagoon and the coral reef provide for water-skiing, snorkeling, diving and dolphin watch while Kid’s villa has a paddling pool and special activities for children. The exquisite hotel offers you magnificent scenery while you will watch waves lapping on the white shores. When evening comes, you will lose yourself in the wondrous ambience with the setting sun over the Indian Ocean. 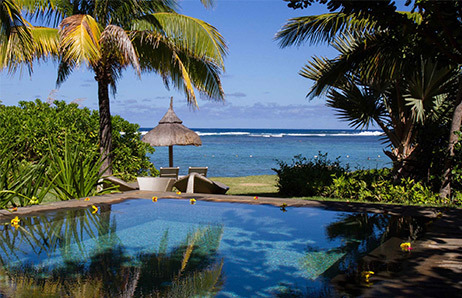 This 5-star Mauritius resort has a magnificent location on the sunny west coast of the island near the charming village of Flic en Flac. 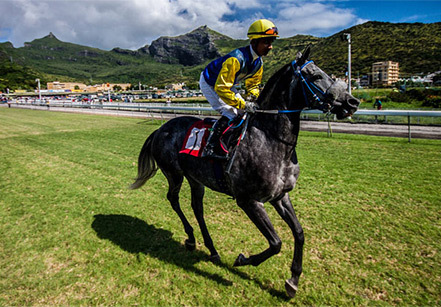 Private taxis may whisk you to Mauritius’ attractions: Tamarina Golf Club, Casela World of Adventures, the Black River Gorges and more. Sofitel Mauritius Impérial Resort & Spa is a 45-minute drive from Port Louis and one hour from Sir Seewoosagur Ramgoolam International Airport. Soothe sore muscles in the jacuzzi or hammam, relax with a game of lawn tennis, or swim in the pool of the Mauritius So SPA where soft music plays magically under the water. Nestled between mountains and sea on the rugged southwest coast of Mauritius, golf club Tamarina is a fabulous 18-hole course just 20 minutes away from the resort. The hotel’s mini club, Kid's Villa is open all year from 09:00 to 21:00, for children 4 to 12 years, supervised by French and English speaking hosts. A paddling pool and games are available. Daily activities have specially been programmed for children. Possibility of lunch and dinner on site accompanied by animators. A babysitting service is available on request and at an interest.